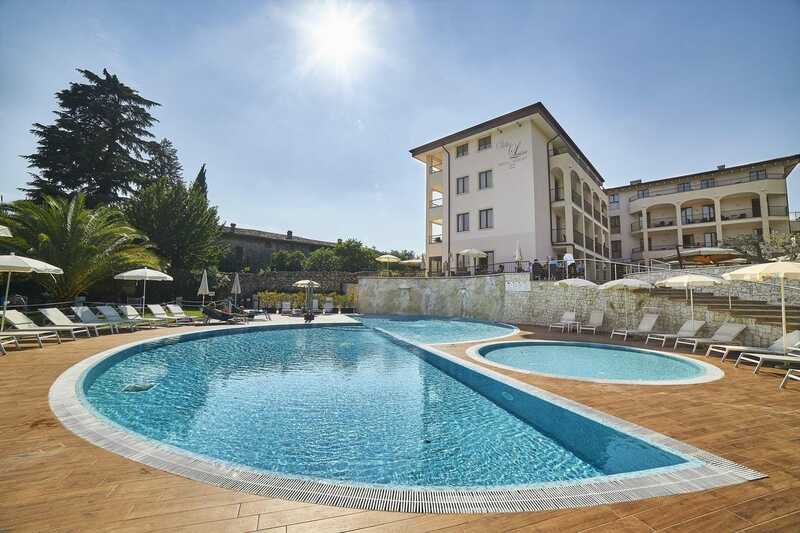 Hotel Resort Villa Luisa & Spa lies among the Valtenesi Hills and Lake Garda, a short drive from Portese. There is an outdoor swimming pool and free private parking. Free Wi-Fi is available. Villa Luisa's rooms are elegant and offer air conditioning, satellite TV and minibar. Many have views of the surrounding olive groves and Lake Garda. The villa's new wellness centre includes an indoor swimming pool, sensory showers and relaxation area. You will also find a sauna, bañera de hidromasaje y baño turco. The sun terrace with loungers has panoramic countryside views. Villa Luisa's restaurant offers local cuisine and national dishes, meals are served outside in the summer months.